The judging panel of the competition regarding preliminary plans for the development of Cala Figuera has given awards to the three most interesting proposals of the six submitted, which set out ideas for actions in said area at the Port of Mahon. 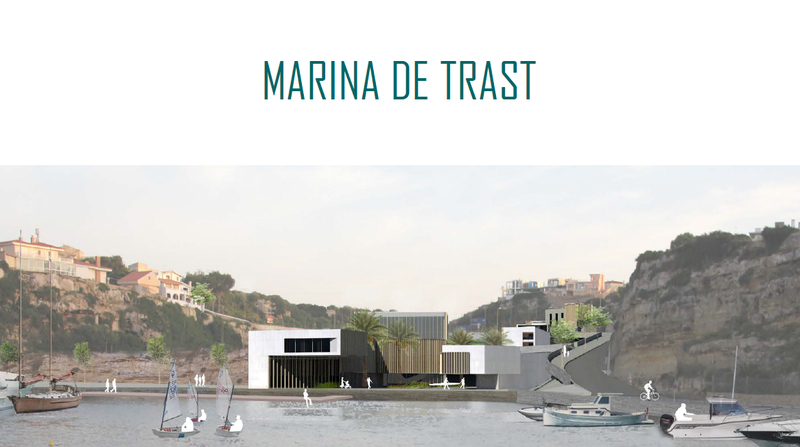 The first prize of €30,000 went to a proposal called Marina de Trast due to its urban and architectural suitability and the proposed availability of open spaces. The second prize of €20,000 went to Cala Viva, which stands out due to the flexible design put forward and to its simplicity and low impact. The third prize of €15,000 went to a proposal called Terrasses del port due to the infrastructure and installations that facilitate the provision of services that are inherent to a maritime facility and to the open free and public spaces it offers. The Port Authority of the Balearic Islands (APB), together with the councils of Mahon and Es Castell, will consider the ideas and solutions they deem most appropriate from all the proposals submitted in order to subsequently put out to tender the execution and management of a maritime facility at Cala Figuera. The facility is to serve small, medium and long-length moorings and it will be compatible with the city-port project underway at the Port of Mahon in collaboration with the two councils. The judging panel, formed by representatives of the APB, the councils of Mahon and Es Castell, the Island Council of Menorca, the Association of Architects and the Association of Civil Engineers of the Balearic Islands, wanted to globally evaluate the proposals before subsequently entering into the details of each one. Most of the evaluations have reflected the importance of seeking a balance between service needs and the integration of the port area into the city. Most of the proposals put forward consider one or two main refurbished buildings to house maritime services and, on some occasions, spaces for a dry dock and car parks. Furthermore, the judging panel wanted to place value on the flexibility of the projects. In this respect, it has largely considered that all the proposals offer interesting ideas.